(Special Post) 10,000th Post milestone! 1937 days since its beginning in January 2013, my blog has reached its 10,000th post milestone as of this Sunday morning! Thanks to all the viewers and visitors who have graced this blog with your time and presence over the past five and a half years. May God continue to guide me and strengthen my resolve to write and post, for the greater glory of His Name! Tu es Deus qui facis mirabilia solus : notem fecisti in gentibus virtutem Tuam. Response : Liberasti in bracchio Tuo populum Tuum, filios Israel et Joseph. You are the God who alone has done wonders. You have made Your power known among the nations. Response : With Your arm You have redeemed Your people, the children of Israel and of Joseph. Jubilate Deo, omnis terra : servite Domino in laetitia. Response : Intrate in conspectu Ejus in exsultatione : scitote, quod Dominus ipse est Deus. Response : Ipse fecit nos, et non ipsi nos : nos autem populus Ejus, et oves pascuae Ejus. Sing joyfully to God all the earth. All of you serve the Lord with gladness. Response : Come in before His presence with exceeding great joy. Know, all of you, that He is the Lord, our God. Response : He made us, and not we ourselves. But we are His people, and the sheep of His pasture. Dear brothers and sisters in Christ, today we celebrate together with the whole universal Church, the feast of the dedication of two of the four greatest churches in the whole world. These four churches are the primary church buildings of the entire Christendom, and they are the Papal Basilicas, each of which was dedicated to important patron saints of the Church. The first, head and mother of all the churches of Rome and the whole world is dedicated to our Lord Himself, the Most Holy Saviour of all, and also to St. John the Baptist and St. John the Evangelist, the Lateran Archbasilica, which feast we had just celebrated a few days ago. It is the Cathedral of the Pope, and the centre and heart of the whole Christendom. And then after that, in importance and primacy, we have the greatest church in Christendom, the Papal Basilica of St. Peter, which is probably the most well known church in the whole world, as not only that it is the most elaborate but also because the Pope celebrates the majority of his celebrations in that great basilica. St. Peter himself was martyred at the site of the great basilica, the former Vatican hills, and his bones can be found there in its necropolis. And then we also have the Basilica of Santa Maria Maggiore, or also known as the Papal Basilica of St. Mary Major, dedicated to the Mother of our Lord and the Protector of the city and people of Rome. And lastly, we have the Papal Basilica of St. Paul Outside the Walls, or San Paulo fuori le mura, named as such because it was located outside the historical walls of the city of Rome, dedicated to St. Paul the Apostle, who was beheaded in Rome in holy martyrdom. Today we celebrate the day of the consecration and dedication of two of these four great basilicas, dedicated to none other than St. Peter the Apostle, the Prince of the Apostles, Vicar of Christ and the leader of the Universal Church, and St. Paul the Apostle, the Apostle to the Gentiles and the writer of the many holy Epistles. Both of these greatest two pillars of the Church died in martyrdom in the Holy city of Rome, made holy because of their blood shed in that city, and the two basilicas were built over their respective tombs. Most importantly, on this day, by looking at the life and examples set by these two saints, St. Peter and St. Paul, all of us are also called to share in their experiences and to emulate them in their actions. They too were once sinners and weak human beings, but through the Lord and their own faith, they changed themselves to be truly faithful and devoted servants of God. God did not call the perfect and those who are already awesomely good in life to be His disciples, as they are likely to be already saved and secure in their lives in the world to come. Instead, He empowers those who are weak and fragile, and also calls those who are sinners and unworthy, who by His grace and power, are transformed to be holy tools and servants of His will. Indeed, is it not better that those who were sinners and unworthy, by the works and graces of God be made to be worthy and just? And that was exactly God had done, wit two of His principal Apostles, the two greatest pillars of the Faith and the Church. St. Peter was a simple, poor fisherman, whose faith was often weak and he often trembled in doubt, while St. Paul was an overzealous and extreme Pharisee, who was hell bent on destroying the Church and the faithful. St. Peter was called by Jesus from the shores of the lake of Galilee, together with his brother, St. Andrew, who was the first to be called among the Twelve Apostles. St. Peter was a humble and simple fisherman who made his living by catching fishes from the lake. Jesus called him to be a fisher of men instead, and he left behind his net and boat, and followed Him. Yet during his period of service to God, St. Peter often encountered many difficult moments. Today we heard in the Gospel, of the moment when he and the other Apostles were in the middle of the lake going through a great storm, and the Lord came to them walking on the water. St. Peter was the one who offered to test the Lord to find out if it was truly Him on the water, and when the Lord asked him to come towards Him, he went forth. But for his lack of a solid faith without doubt, seeing the power of the storm and the waves, he began to falter and sink. Thus, the Lord rebuked him for his doubts after He helped him. And we know of how Peter denied Jesus three times during His Passion. It was also because of the same doubt and uncertainty, which led to fear of the retribution of the world and its powers, which led to Peter to do such things. But the quality of Peter comes in that, he was courageous and brave, ready to take the initiative, as we know that out of all the Apostles, he was the only one in the boat to seek to walk towards the Lord, even proposing that if He is indeed the Lore, he, Peter would be able to walk on the water. Such an act, does require an incredible amount of courage and faith. Indeed, that faith was to be shaken, but it was there indeed. And Peter eventually made the thrice profession of faith, after Jesus had risen from the dead, and when He asked him, whether he loved Him more than anyone else. In that profession of faith and love, Peter knew that he was forgiven for his denial of Jesus, and in that also, we can see the kind of faith and love which he had for the Lord, and that was why, he was made to be the Vicar of Christ on earth, and the leader of the entire Universal Church. Meanwhile, St. Paul was once known as Saul, as a great enemy of the Church and the faithful, as some sort of an executioner, who belonged to the caste of the Pharisees, young and overly zealous, that he was blinded by his rage and youthful pursuits, seeking to destroy the Church and kill as many believers as possible. Thus, he brought the Church and the Lord much sorrow and sadness. Yet, he was transformed from such a sinner and great enemy, into the greatest champion of the Faith, and into a figure so important and crucial to the growth of the Church and the spreading of the Good News in the early years of the Church. St. Paul as Saul encountered the Lord speaking directly to him and rebuking him for his actions on the way to Damascus, and ever since then, he repented and was converted to the Faith. St. Paul thereafter became a great evangeliser, who went on many journeys to different cities and places to spread the Good News, and for his works and efforts to spread the Faith to the Gentiles, he was then appropriately titled as the Apostle to the Gentiles. And together with St. Peter, they went on to Rome, the capital city of the Empire, and there they were martyred for their faith. 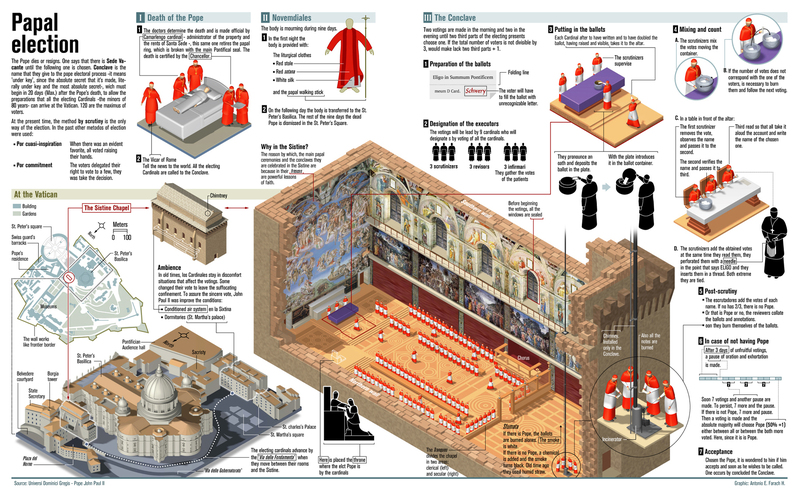 The locations where they were martyred and buried then became the two great Basilicas we know today. Therefore, brothers and sisters in Christ, today’s celebration of the dedication of the Basilicas of St. Peter and St. Paul is a reminder to all of us, that God seeks our salvation, and He calls us all to return to Him, all of us sinners that we may be, like St. Peter and St. Paul before us, turn from our sinfulness and path of darkness, into the light and become holy servants following the examples of the two great saints whose memory we remember today. May Almighty God therefore, with the intercession of St. Peter and St. Paul, be hearkened to strengthen our zeal and faith, so that we may become ever faithful and loving in our lives, that eventually, at the end of the days, when He comes again, He may congratulate us for our dedication and welcome us into His eternal kingdom. God bless us all. Amen. 200,000 views for my blog! Thanks to all the visitors and Praise be to God! 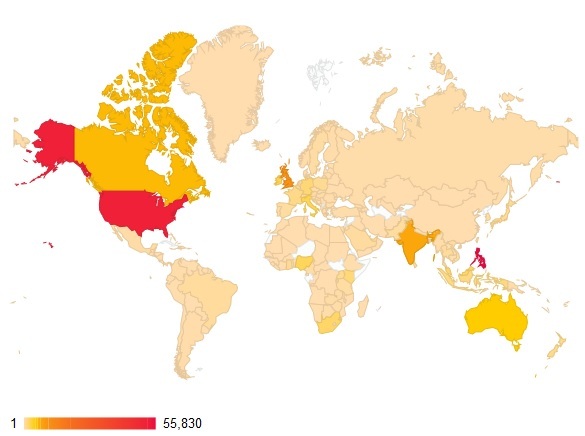 As of last Sunday, 26 October 2014, my blog has reached its 200,000th view by visitors from different parts of the world. I thank all those who had spent their time to come and read what I had published in this blog. Brothers and sisters in Christ, today’s Scripture and Gospel readings are very clear in that they gave us great and precious advice on how to live our lives and how to be faithful to our Lord and God. The readings showed how God is not an unjust and cruel God who is only concerned about punishing us for our sins, nor would He unjustly punish us without good reason. God is loving and merciful, and He is willing to welcome us back into His love. Indeed, it is not just that He is willing to do so, but He indeed wants to bring us back into His embrace, and thus He sent us Apostles, disciples, messengers, prophets and other helpers endlessly to be our guides and to help us to orientate ourselves, to avoid being recaptured by the hands of Satan and by the power of sin and to help us to live righteously and justly according to the will of God. But, this is not the only thing we need to know about the Lord. Our Lord and God is indeed loving and merciful, but at the same time, He is also just and a hater of all forms of sins. I have often mentioned this before, and I would like to repeat it again, for the benefit of all the faithful who hear this message. This is because many of us seem to fall under the lie and delusion that God is loving and merciful only, overlooking the other aspects of Him that we need to understand if we are to achieve salvation in God. We live in a time when our sensitivities towards sin had been diluted and weakened, and the culture of death and wickedness that is in the world, and which is continuing to change the world in accordance to what Satan wishes, is harming us all, brothers and sisters in Christ. Many of our fellow men were ensnared in the web of deception and temptation set up by the devil, who is and will always be active and about to bring about the downfall of as many souls as possible. While in the past, sin is sin and being sinful brought about great regrets and repentance, now people often no longer regard their sinful acts as something wrong or something to be regretted. Their casual attitude towards sin is harmful, and that was also why they have committed even more and more sin in their lives. Many have the misconception that God understands them and will forgive them no matter what their sins are, but they were really completely wrong, and if they continue in this attitude, they are in great danger, both soul and body. The lack of apprehension and disgust towards sin by men, especially in the world of our time is truly unbelievable and dangerous. Instead of seeking God’s mercy and repent for even the smallest sins that we have, we continue to commit sin and disregarding God’s laws and commandments, doing as we like in this life, thinking that God will forgive us in the end because of His love. But we have to remember, brothers and sisters in Christ, that the Lord hates sin in all of its forms and sin is the greatest barrier that separate us from the love of God. As long as the taints of sin remain on our selves, on our body and soul, and we do not repent from those sins, we cannot approach and be one with our Lord and God. That is because, despite of His love and mercy, grace for all of us can only be achieved if we take concrete steps and actions to truly commit ourselves to the Lord. Thus, that is why the Church, as the guardian of the Faith as it was given to us by Christ through His Apostles, kept the stance on having mercy only when the sinner is truly repentant and desire true forgiveness of sins, not by an easy path, but through gracious devotion to the way of the Lord and by acts of reparation to repay the debts of sin which the sinner had incurred against the Lord. There are indeed pressures from this world and all who are aligned with Satan and the forces of darkness, as we recently witnessed in the recent Extraordinary Synod on the Family, which had just been concluded at the end of last week. The social media and media in general, in all of their various forms aired their opinions pushing for the agenda to destroy the Faith and the Church, which was advocated by even some within the Church. Yes, it is the advocation of false and deceiving mercy to sinners, and the notion that the Church tolerates sin, that is most dangerous, not just for those who have committed those grievous sins, but even for the righteous within the Church of God. If we allow this corruption and debauchery of the world to make its way into the Faith and the Church, we are bringing ruin and disaster upon ourselves. God reminds us through Jesus that He always wants to give us chances and opportunities, as what Jesus told in His parable of the fig tree that did not bear any fruit and was barren. The fig tree was given another chance by the Lord, who gave it another chance to redeem itself, before it is given up for cutting and burning. Thus, in the same way God had given us chance, and even many chances for us to repent and become better, and abandon our sinful ways. Therefore, it is imperative for all of us to put our complete trust in Jesus Christ our Lord, the root of Faith, the One who is our anchor in our faith and life. Just as St. Paul had written in his letter to the Church and the faithful in the city of Ephesus, he pointed out that the Lord Jesus came to this world to rescue us and to give us new hope, through sincere repentance and humility to seek God’s mercy. If we do these, then Christ, whose death has washed away our sins and whose resurrection from the dead offer us new hope in life, will bring us from the shadow of death and into the liberated life in God. Mercy cannot be separated from repentance, or otherwise the mercy will be false mercy and bring harm instead of goodness. Hence, brothers and sisters in Christ, let us all detach ourselves from the impurities of this world and purify ourselves in faith. May Almighty God bless us with faith and His love, and may He help us to guard us from the depredations of sin. May all of us get closer to the Lord and put all of our trust to Him, and with Him as our anchor in life, let us all humbly seek His mercy and sincerely offer our repentance to Him, that He may justify us in our repentance and faith. God bless us all. Amen. 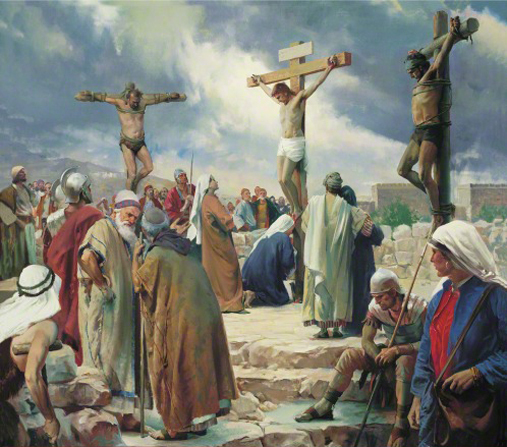 At that time, some people told Jesus what had occurred in the Temple : Pilate had had Galileans killed, and their blood mingled with the blood of their sacrifices. Jerusalem, just like a city, where everything falls into place! There the tribes go up, the tribes of the Lord, the assembly of Israel. To give thanks to the Lord’s Name. There stand the courts of justice, the offices of the house of David.